Portrait of the Artist 01 is a rare self-portrait by Ash. The structure reflects the influence that film animation and storytelling has had on her work. Here it's a vehicle for depicting different aspects of self that focus on the working of mind and what’s important rather than an outward appearance. 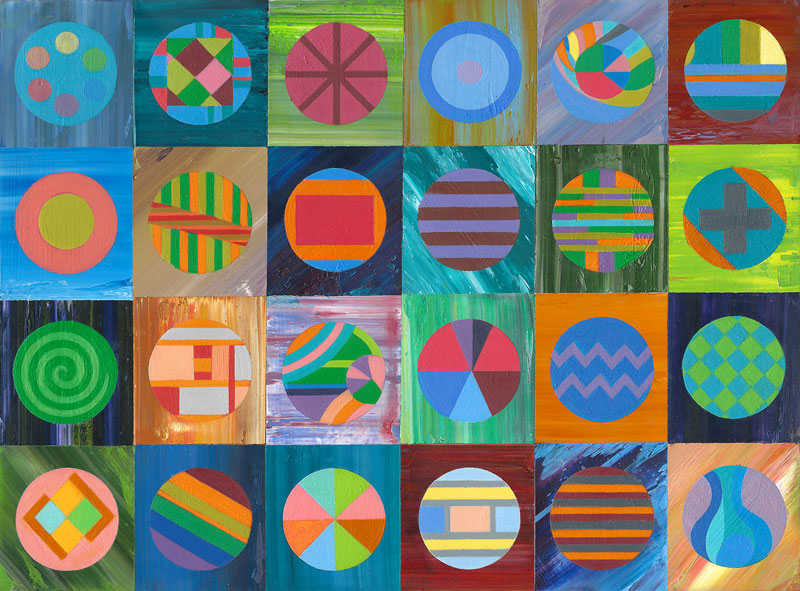 With the division of 4 x 6 rectangles each of these 24 sections is built from thick, sensitively coloured oil paint overlayed with individual circular images. The most obvious references are to the artist’s palate, her zodiac sign Aquarius and the colours of the rainbow pride flag.